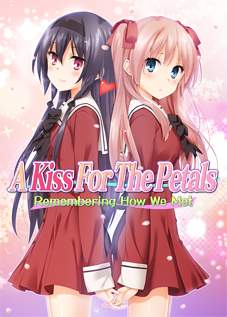 This page includes links to purchase A Kiss For The Petals products from shops known to accept non-Japanese credit cards, sorted in order of ease of purchase. Each category is sorted internally by subseries and then by chronological order of release. For downloadable products, Booth, DLSite, and DMM are preferred for their native English interfaces. DLSite also accepts PayPal. Mangaoh Club’s website has an embedded Google Translate widget. If you need more instructions, see this page. Gyutto.com can be browsed with automated Google translation. Users of Google Chrome can right-click on the page to translate it to their own language, but Firefox users can download an add-on such as S3.Google Translate for the same functionality. The Google Translate website may not work properly due to the age verification cookie required to access the product pages. DLSite, Gyutto.com, and J-List have reward points systems for frequent customers, which can be used as payment on later purchases. Disclosure: Links to DLSite on this site are affiliate links. Additionally, be aware that DMM and Gyutto.com use authentication DRM for software. At present, they are not compatible with Mac OS and Linux, and therefore users of those platforms should buy from other services where possible, or boot to a Windows installation if they have one. For physical products, Amazon and Booth offer English interfaces, but they do not ship outside Japan, so you will need to use a proxy shipping service for physical items. (Items offered for download on Booth do not require a proxy.) Amazon and Booth links are nonetheless listed here as they still accept international credit cards. Yurin Yurin’s products are eligible for Amazon Prime. Physical copies are listed where they are in stock at time of writing (23 February 2018). Entries that are crossed out are out of stock since the last update. 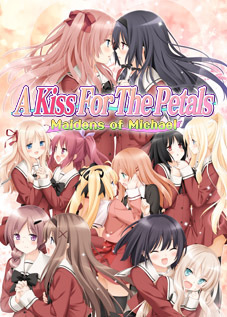 English title translations for products without English distribution by MangaGamer are provided by Ralen and are subject to change at any time. They are not to be taken as official translations. Includes A Kiss For The Petals, My Prince Charming, Joined in Love with You, Sweet Melting Kisses, and Dyed with Angelic Petals. This is a limited print run of 1,000 copies. 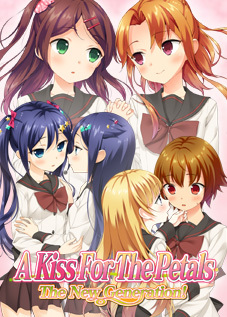 Translated titles have been provided by Ralen. Minami no Shima de Amatoro Chuu! This is an extra track originally included in the expanded release, Songworks Extra.